GC-6 : Economical GPS tracking unit. The GC-6 is an economical vehicle tracking device designed for an easy install in difficult environments. 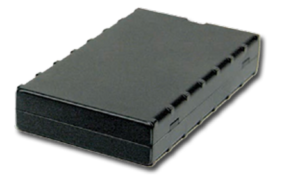 It’s an ideal solution for insurance applications such as anti-theft and rentals or any application where a back-up battery is needed. High-end quality for a low-end price. High sensivity GPS (2 meters accuracy). Internal GPS and GPRS antennas for ease of installation. 1 input / 1 output.